Bit coin,Payment services for transactions in cryptocurrencies don't provided banks,Other companies within its scope are RBI command-line cryptocurrency exchanges matter is going to the Supreme Court.The RBI should challenge the orders of the Supreme Court Planning Unocoin. 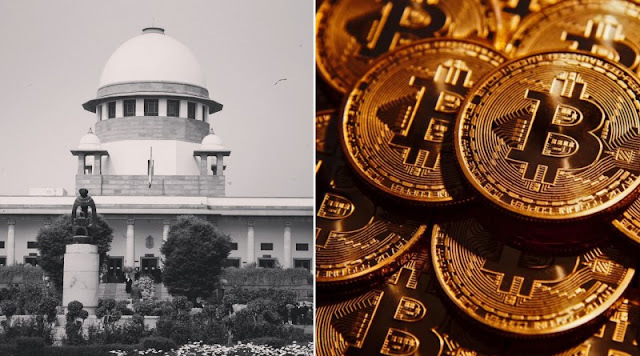 Zeb Pa, Coin Secure already noted.Participants in industry, Black Chain, Cryptocurrency Association, Internet, Mobile Association, Coin Secure said.The Supreme Court is considering whether the Supreme Court may grant stay checking Coin Secure Chief Officer Jincy Samuel said.Concerned that RBI orders disrupt their business. CEO of Jeb Pe Azat Khurana said..."Our customers will do what is good for our country.We will respond only after examining the present situation. "he Tweeted.However, if the bank's services are suspended due to RBI orders,Those who are withdrawing will not be able to serve.